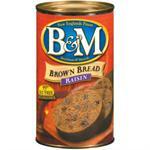 Remember brown or canned bread? 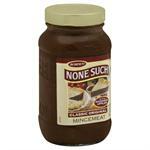 Great with baked beans and a staple in all pantries in the old days. Part of the traditional New England Dinner,usually served with baked beans. 99% Fat Free. 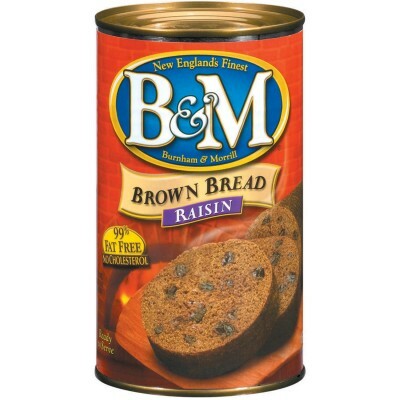 B&M Brown Bread is filled into cans as a batter. The cans end is then applied but not sealed completely. The can with the batter is then cooked in our retorts equipment used for the thermal sterilization of foods, with steam at atmospheric pressure for 3 hours during which time the bread rises and leavening gases escape. After cooking is completed the still warm cans are sealed the rest of the way to make the can airtight. Water, Whole Wheat Flour (Allergens: Dairy, Wheat. 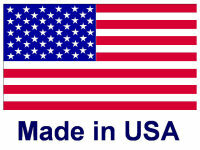 ), Molasses, Dextrose, Rye Flour (Allergens: Dairy, Wheat. ), Raisins, Whey (Allergens: Dairy, Wheat. ), Degerminated Yellow Corn Meal, Baking Soda, Buttermilk (Allergens: Dairy, Wheat. ), Salt, Corn Oil.